We understand how business expo meetings, corporate-executive conferences and company product launches are important to business-minded people like you. We are also aware of how valuable time is in all your business meetings and negotiations. Hence, at Exclusive Limousines, we strive hard to include in our luxury transport service the most prestigious and world class corporate transfer experience. In fact, we have a comprehensive range of luxurious vehicles driven by time conscious and well trained chauffeurs who will take you to your important event on time. We take pride in our integrity and promptness to provide you a stress-free and most comfortable corporate transfer ever. We are Melbourne’s premier and fast growing limo hire company when it comes to luxurious corporate travel. Our experienced and professional chauffeurs greatly understand the needs of busy executives and corporate clients. For many corporate people a chauffeured limousine is not a luxury but a necessity. It can help remove the pressures of a heavy traffic, the stressful parking woes and the trouble of getting around the city. A chauffeured travel is definitely the best opportunity to get organised prior to a busy day. 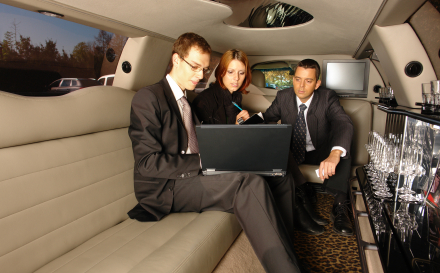 At Exclusive Limousines we can guarantee you maximum comfort and productivity. For more details about Limo Service in Melbourne, Call us @ 0428 486 637. We can turn your corporate transfer into a luxurious and productive travel by giving you our first class service at a very reasonable rate.